Beautiful custom built home on large 1/3 acre lot in Heartland Estates. 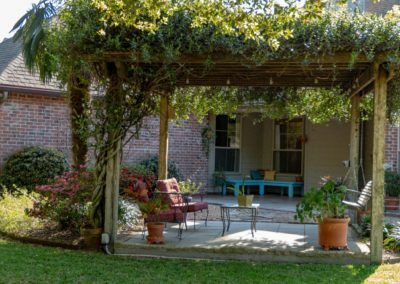 Lushly landscaped property offers privacy in its park-like setting with shade from mature Live Oaks and Cypress trees. 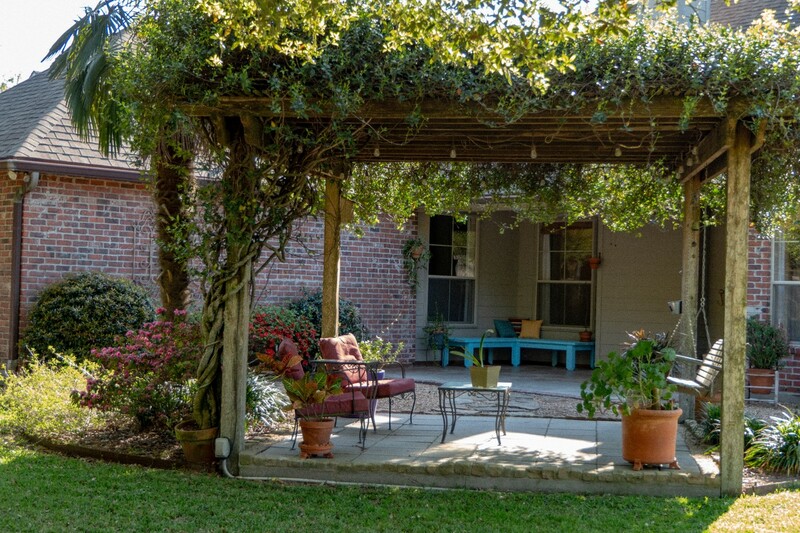 Relax under the pergola and enjoy your morning coffee on the swing or a glass of wine in the evenings safe from the hot Louisiana sun. Inside, the main living offers an open concept floor plan. Reclaimed pine columns, beams and flooring add warmth and character to this family home. Walls of windows overlook the beautiful back yard and covered patio. There are 10′ ceilings throughout the foyer, great room, study, and laundry with 9′ ceilings in the bedroom wing. 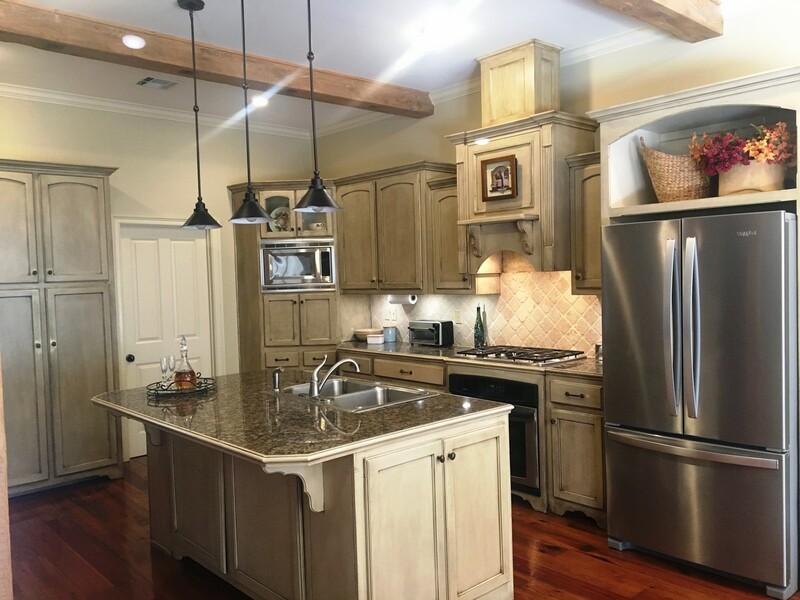 The kitchen has custom cabinets with a large pantry and island seating for 3. The adjoining dining area is spacious and can accommodate a large dining table. 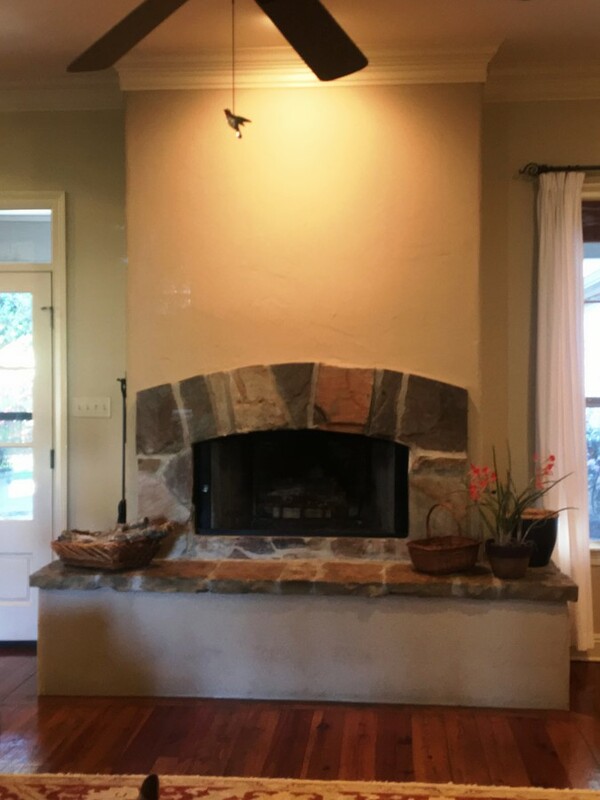 20′ x 20′ living area boasts a beautiful custom fireplace with slate surround and raised hearth which can serve as additional seating for larger gatherings. Custom laundry with loads of storage can also serve as butler’s pantry for entertaining. This home is an entertainer’s dream. The pine flooring extends into the 450 sq. 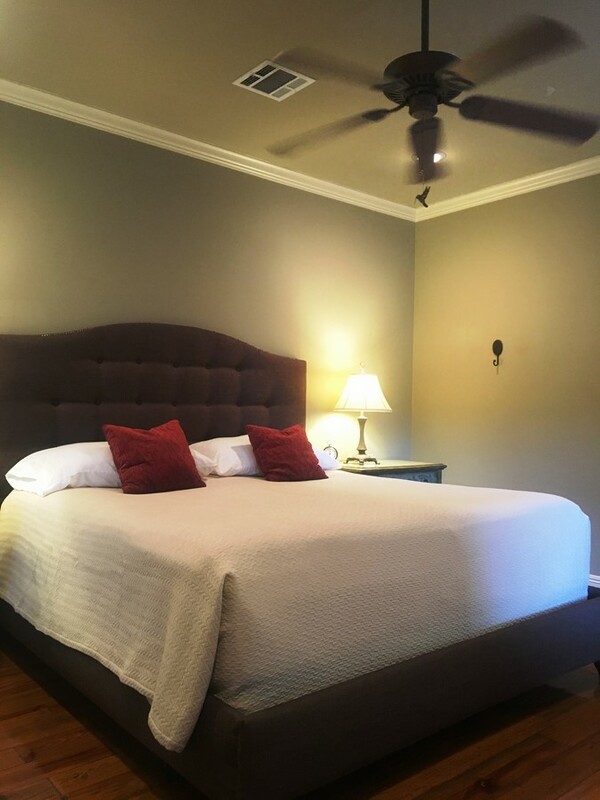 ft. master suite which includes an ample bedroom space for king-sized bed and furnishing, The bath features a cathedral ceiling and a leaded glass window above the soaking tub, and the glass enclosed tiled shower has rain head fixture and teak shower seat. 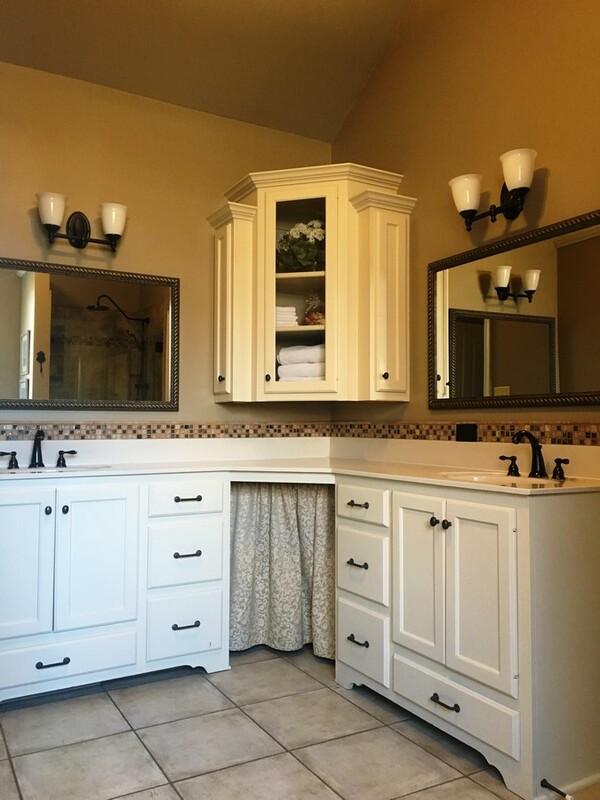 Double vanities offer lots and lots of storage and a separate water closet provides privacy. 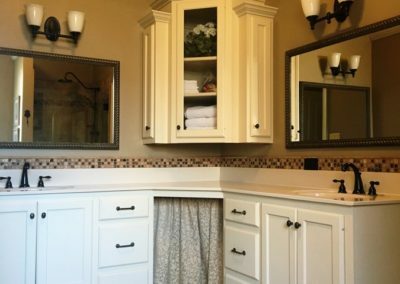 Beyond the bath is a generous master closet with custom built-ins. 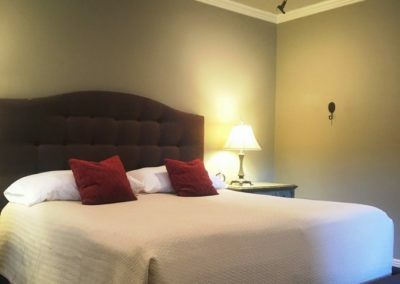 You’ll find the two guest bedrooms to be spacious and easily accommodate queen beds in each with custom closets. 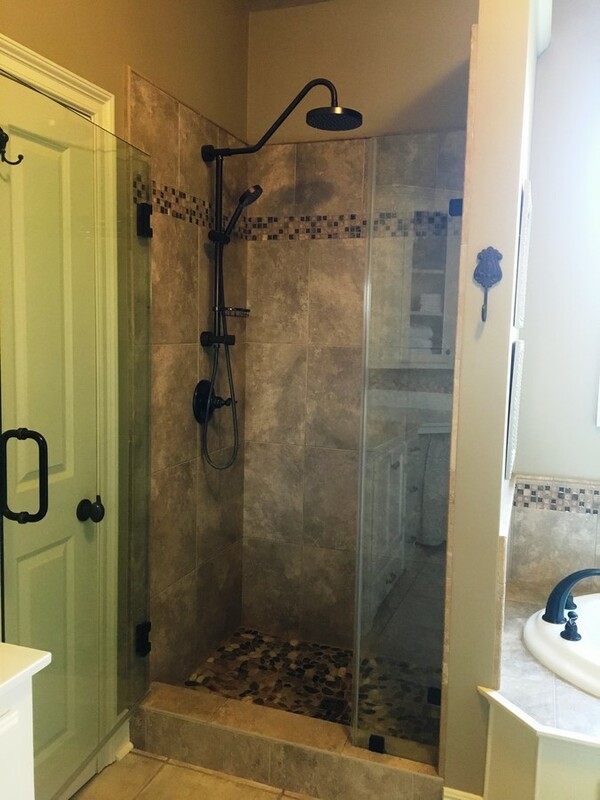 A hall bath serves both guest bedrooms and the living area. 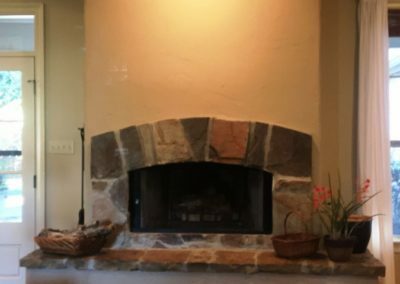 The large dedicated study with brick floors adjacent to the foyer rounds out the interior of this lovely home. The 817 sq. ft. two bay garage offers parking for a boat or car with motorcycles or ATV in the rear of one bay and an 8′ x 12′ workshop in the rear of the other bay. 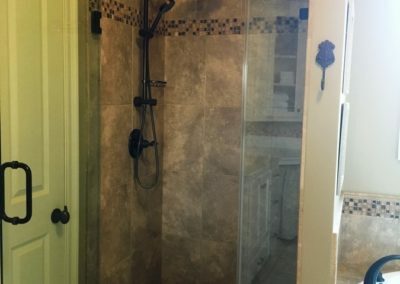 In addition there is a custom built bicycle storage, kayak lift and built-in cabinets. Double doors open to the backyard. A gravel parking pad with 30amp electrical hookup will save those RV storage fees. HOA is covenant enforcement only, no HOA dues. This is a limited service listing. Sellers represent themselves. Seller is Lynn Barnidge (337-344-1098; lbarnidge.lb@gmail.com). Seller will negotiate for themselves. Send offers to reliancerealestategroup@gmail.com and copy all offers to seller at lbarnidge.lb@gmail.com. Contact seller for anything else in regards to this listing. Schedule all showings through CSS. Reliance Real Estate does not hold property deposit checks. LA/LO will NOT Advise the seller on PA’s; LA/LO will NOT Arrange Appointments; LA/LO will NOT Assist seller in counteroffers; LA/LO will NOT Negotiate for the seller. 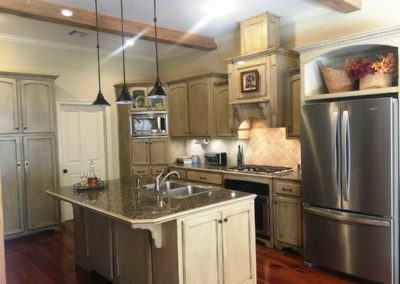 Call the seller, Lynn Barnidge at 337-344-1098, for even more information and don’t forget to Like us on Facebook!! !